Home / Archive / featured / Axe Watch: Which BBC service will be next to go online? 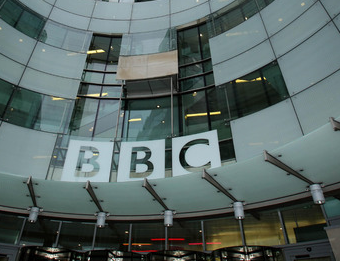 Axe Watch: Which BBC service will be next to go online? Following recent changes to the BBC News Channel, which has resulted in increased simulcasting with international service BBC World News, bosses at the corporation are now reportedly looking at making the news channel an online-only service. It's the latest in a flurry of rumours and reports in the past seven days that have connected various BBC TV services to a move online move, following the steps of BBC Three's planned transfer online next year. The reports have been fuelled by yesterday's sudden licence fee agreement. The Guardian reports that a paper has already been put together looking at the future of the BBC's approach to live news. In recent months, there have been repeated and persistent indicators that the BBC is carefully looking at the News Channel's expense, and that it's possible that the commercially funded World News channel could take over more of the BBC News Channel's output. In the UK, commercial breaks on World News simulcasts are mostly filled with UK news stories. However, it is unclear how the BBC would respond to major breaking news stories if the News Channel was moved online or merged with BBC World News. Already, the BBC has been criticised by some viewers for the speed of which the News Channel reports on breaking news during the recently added Victoria Derbyshire programme, which is simulcast with BBC Two. Last week, reports circulated that the BBC's childrens TV channels could go online as research continues to point towards more and more children opting for mobile and online service over traditional TV broadcasts. Last week, Alice Webb, director of BBC Children's defended the service in a BBC blog post. Even BBC Four has become the focus of reports, with much of of channel's output already having been cut back or moved to BBC Two. On BBC Four, media observers note how Sky Arts has launched an extended on-demand portal to cover the Arts, while Channel 4 prepares to launch a new online home for foreign language drama this Autumn. The BBC has thus far declined to comment on the various pieces of "speculation" over the future of its services, coming ahead of imminent talks on the renewal of its Royal Charter. It's current charter expires at the end of next year. I have yet to see an online solution that gives me picture and especially sound quality as good as Freeview HD. Bit rates for online services are considerably lower than Freeview HD channels (using the same codecs), and the audio online is stereo only. Some recent BBC 4 foreign imports (so called Scandi-noire) have 5.1 sound on Freeview HD. In addition we still have about half of the country with broadband too slow to watch TV online with good picture and sound quality. Why should someone with slow broadband have to put up with a low quality picture when what they get today broadcast is much better?